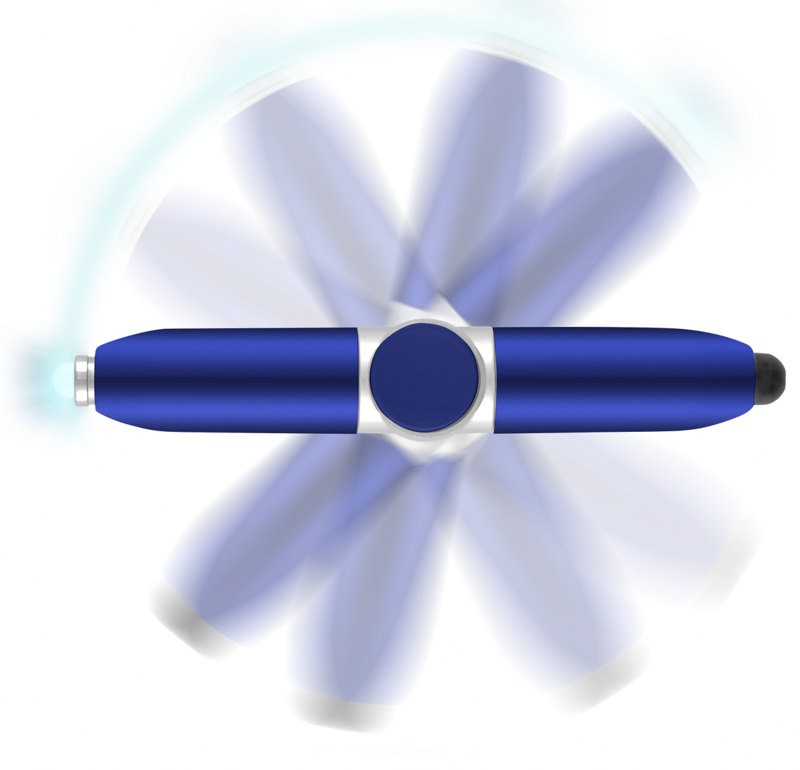 If you’re looking for something to get them talking the Axis Spinner Pen may be the answer! 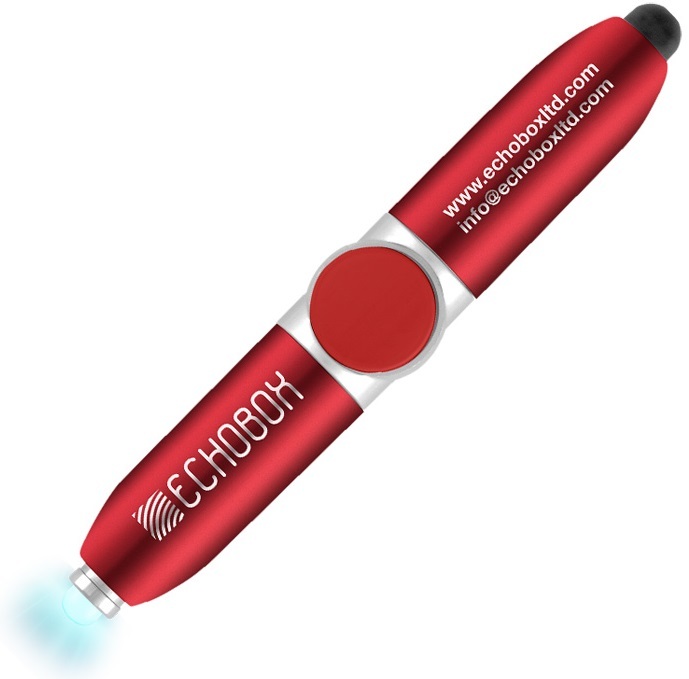 These black-ink writers also boast a stylus tip to one end (to use with a tablet or smartphone), and to the other end there’s a bright LED light – brilliant eh? But that’s not all, the indented circular centre acts as a thumb rest to turn the item into a tactile fidget spinner! Available in 4 colours, these mini whizzy ballpens are sure to get your brand right into their hands!